The buche de Noel, properly spelled bûche de Noël in French, (Yule log), is one of the oldest French Christmas traditions. It dates back to Celtic times before Christmas in France was celebrated. Delicious slice of bûche de Noël baked by yours truly. 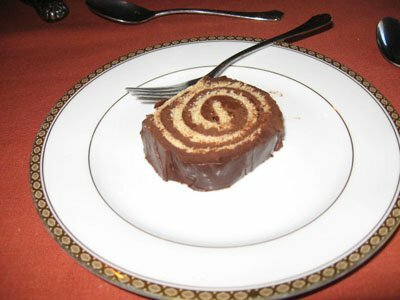 I love the lore of French holiday traditions as much as I love eating the Buche de Noel dessert. The earliest bûche de Noël in France can be traced to Celtic Brittany. A log was lit at the winter Solstice ceremony honoring the sun and marking the end of the dark days of winter. A custom of French culture, the bûche de Noël French Christmas tradition is thought to have stemmed from a Medieval feudal tax levied at Christmas. 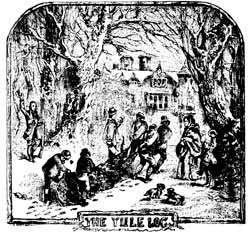 Called the “right of the log”, the peasants on Christmas Eve had to bring a large piece of wood from the forest to the feudal lord’s manor house. Years later they began to bring the wood to their own house. The log was blessed and lighted with a special ceremony. From “The Book of Days” 1869 Robert Chambers’ The Book of Days(1864) tells us that this not just a French Christmas tradition but also traditional throughout Europe and the British Isles. “The burning of the Yule log is an ancient Christmas ceremony, transmitted to us from our Scandinavian ancestors, who, at their feast of Juul, at the winter-solstice, used to kindle huge bonfires in honour of their god Thor. The custom, though sadly shorn of the 'pomp and circumstance' which formerly attended it, is still maintained in various parts of the country. The bringing in and placing of the ponderous block on the hearth of the wide chimney in the baronial hall was the most joyous of the ceremonies observed on Christmas Eve in feudal times. The venerable log, destined to crackle a welcome to all-comers, was drawn in triumph from its resting-place at the feet of its living brethren of the woods. Each wayfarer raised his hat as it passed, for he well knew that it was full of good promises, and that its flame would burn out old wrongs and hearthurnings, and cause the liquor to bubble in the wassail-bowl, that was quaffed to the drowning of ancient feuds and animosities. In Provence, the charred remains of last year’s bûche was re-laid on the hearth and lighted. The family gathered round and recited a prayer. In Brittany France the oldest and youngest members of the family light the log together and recite a prayer to the Christ Child. In Burgundy, the bûche was very large. Parents would hide treats under the log for the children who were in the other room saying their prayers. The kids would return and hit the log with a stick to roll the log to reveal the gifts (nuts, dried fruit, a coin). In another Burgundy custom, they would hit the burning log with tongs. The embers emitting would tell them what the harvest would be. The more sparks emitted the more corn there would be. The remaining cinders would be put into the soil so they would prevent grain disease. During a storm, throwing a handful into to fire would keep the house safe from lightening strikes. Check out these Christmas traditions in France in other regions like Normandy, and Alsace. French Christmas Traditions and Christmas celebrations shared throughout France. French Christmas Carols are a fun way to learn basic French and learn French at home with your family. 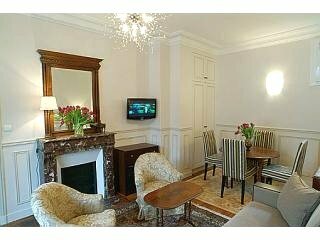 Paris at Christmas is a fabulous time to visit with lots of French Christmas traditions to enjoy.